SERVPRO of Lake Highlands has a dedicated team of highly trained restoration professionals. We know, once we arrive and assess the damage, what amount of demolition is necessary to properly restore the damaged areas. When flooring needs to be removed, we get it done right! 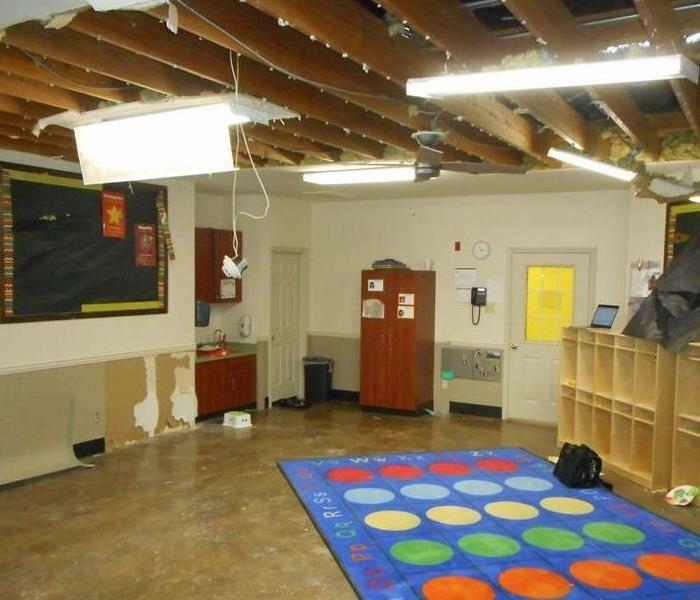 This Lake Highlands of Dallas, TX school required our services after a sprinkler malfunction. We arrived quickly to assess the level of the damage. Our crews were able to get to work fast and get the school back into operation quickly after the damage occurred. SERVPRO of Lake Highlands responded quickly to this daycare's call for help in Lake Highlands of Dallas, TX. We arrived on site to begin water mitigation services immediately. The daycare needed access to their damaged facility as quickly as possible for the families they serve. 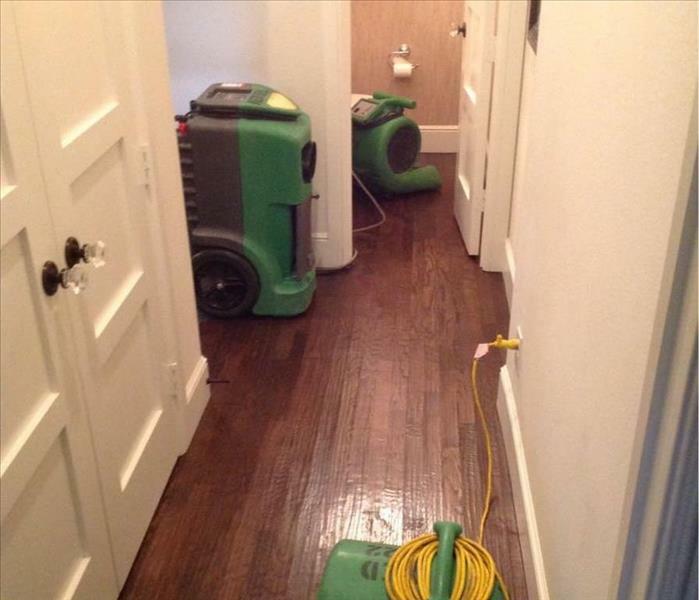 This Lake Highlands of Dallas, TX homeowner called SERVPRO of Lake Highlands for help when they had water damage in their home. W had to removed the baseboards and the flooring as it was unsalvageable. We then placed the fans to dry the remaining areas affected. This master bathroom in the Lake Highlands of Dallas, TX area required water mitigation services due to a burst pipe. We were able to arrive quickly and luckily for the customer no demolition was needed. We set up the drying equipment and monitored it properly. 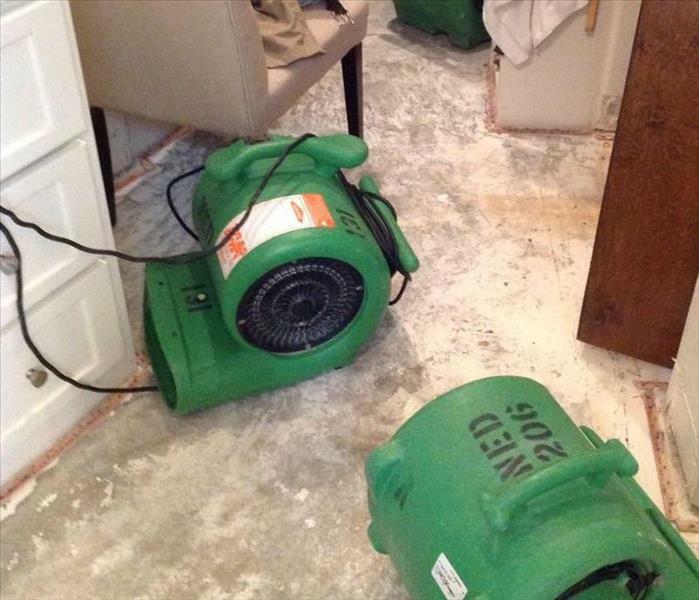 The minor damage in this Lake Highlands of Dallas, TX home required our team at SERVPRO of Lake Highlands to set up drying equipment. 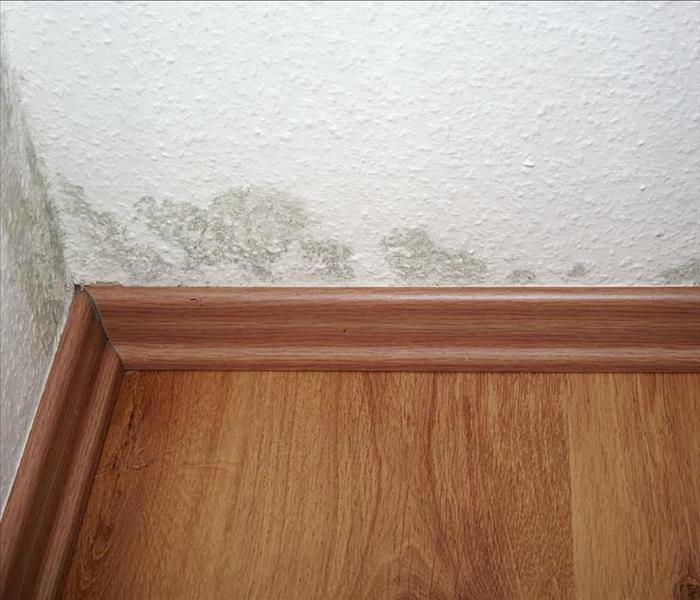 We need to make sure all dampened areas were dried completely to avoid secondary damage. 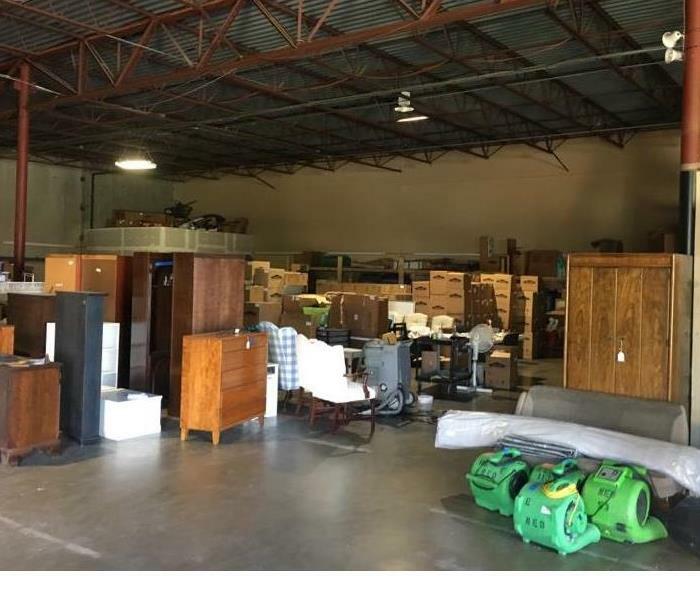 SERVPRO of Lake Highlands has an 11,000 square foot warehouse equipped with the proper storage area as well as a staging area. We also have an area dedicated to cleaning and restoring any contents that have been damaged by water, fire or mold. 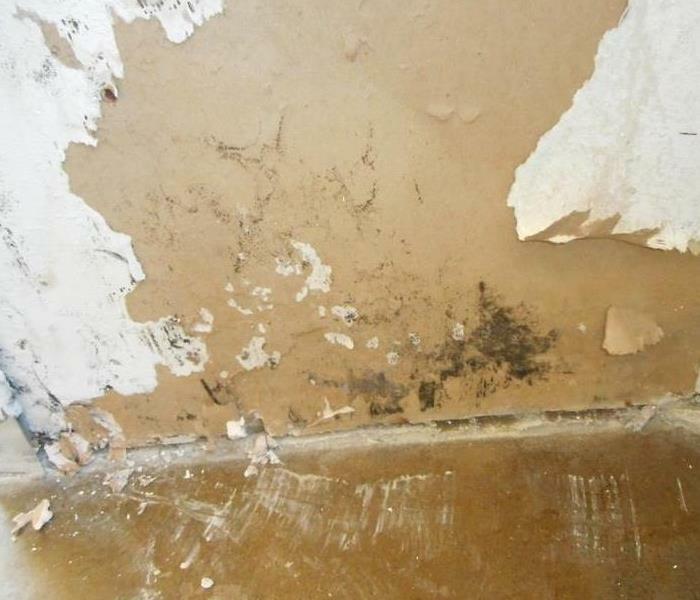 The flood waters that damaged this Lake Highlands of Dallas, TX home created the perfect environment for mold growth. SERVPRO of Lake Highlands was able to remediate and treat all areas containing mold growth an restore the home. 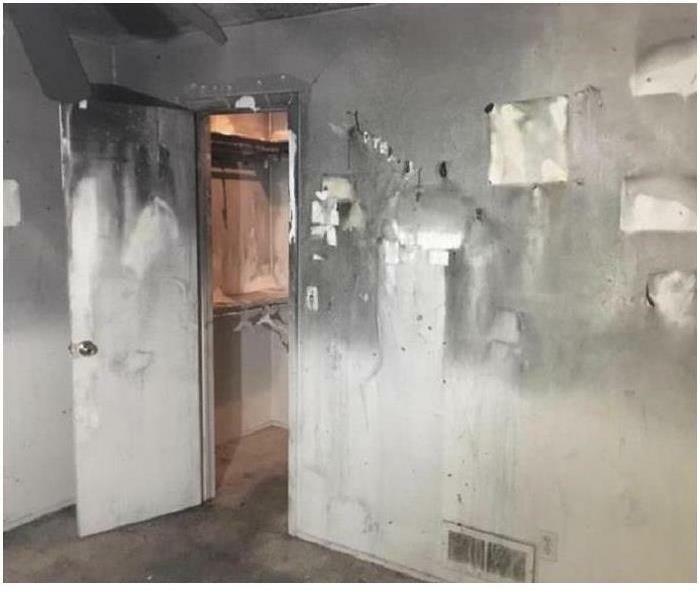 SERVPRO of Lake Highlands arrived to this Lake Highlands of Dallas, TX home when the fire department declared it as safe. The damage was not as destructive as we originally thought. 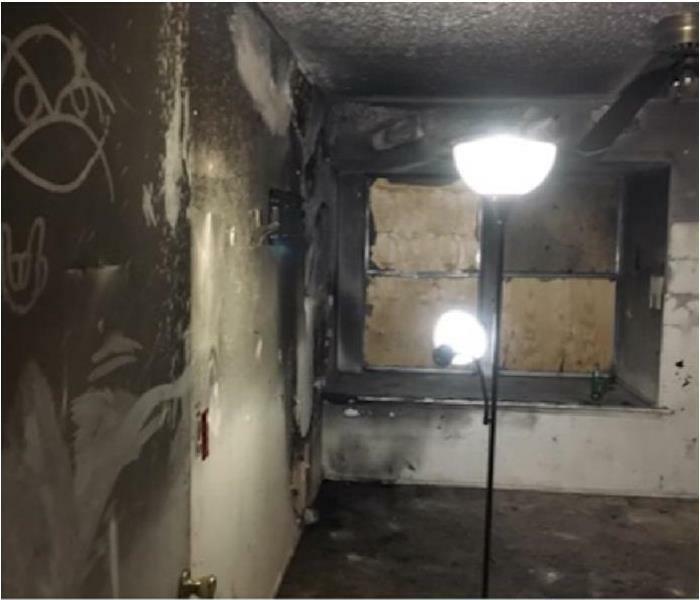 We were able to get the soot removed and the home and its contents restored quickly. In the Lake Highlands of Dallas, TX area this home had a fire that destroyed their kitchen. These walls are the aftermath of that fire. Smoke and soot residue is tricky to remove properly. 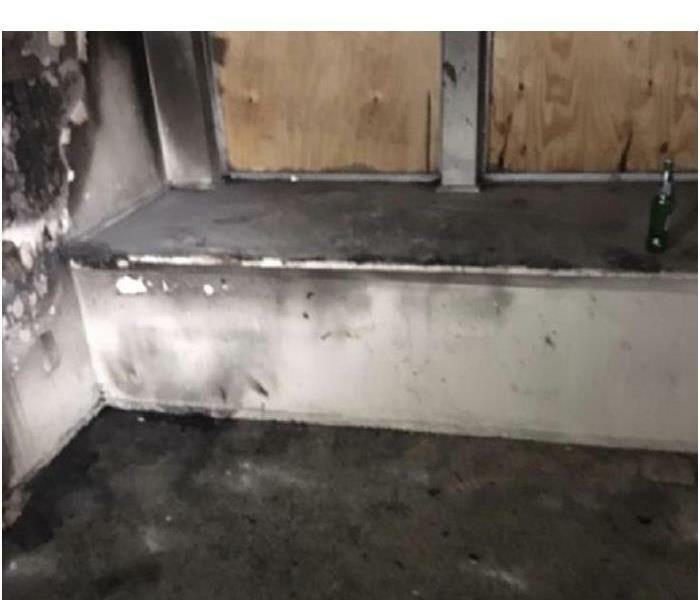 SERVPRO of Lake Highlands have trained fire restoration experts for jobs just like this one. 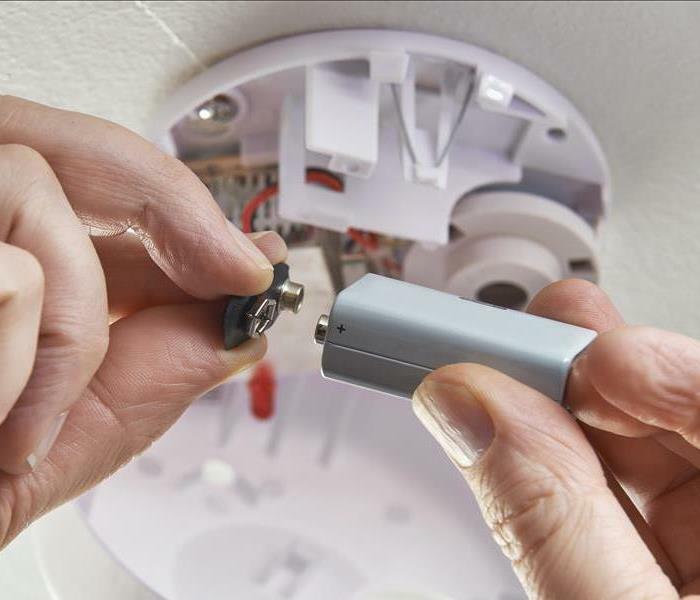 Be sure to change the batteries in your smoke detectors frequently. These devices can become a life saving tool. The time of year s coming when we fire up our space heaters and fire places as well as holiday decor. It is important to make sure your smoke detectors are properly functioning for the safety of your family. This Lake Highlands of Dallas, TX home owner was devastated by the damage that was caused by not only the fire but also the water from the firefighters putting out the fire. SERVPRO of Lake Highlands responded and were able to restore their home in a calculated timeline. This Lake Highlands of Dallas, TX home owner was devastated by the damage that was caused by a fire. SERVPRO of Lake Highlands responded and assessed the damage. We were able to restore their home in a calculated timeline. 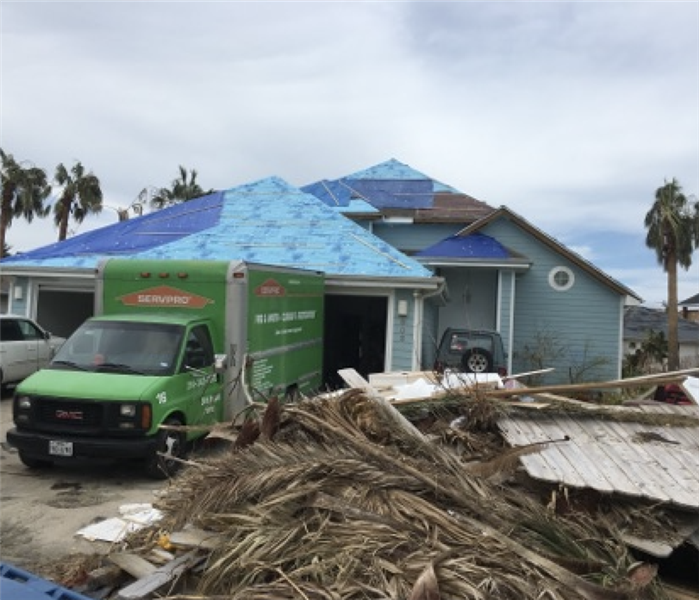 SERVPRO of Lake Highlands has a dedicated storm team that will respond to any storm event and work hard to help those in need restore their homes and businesses. We are always ready to help anywhere anytime! When you are building a new home the risk for mold growth is high prior to installing an HVAC system. The humidity is high and the circulation of air can be minimal. SERVPRO of Lake Highlands knows just how to handle these mold jobs. With storms come the possibility of flooding in many areas. SERVPRO of Lake Highlands responded quickly and got to work extracting the water. Then we removed the damaged materials and began setting up the drying equipment. This Lake Highlands of Dallas, TX home owner discovered roof damage that was caused by the recent storms that have blown through. This damage was bad enough to cause leaks all through out their attic space. Luckily they were able to repair it quickly to prevent further water damage. 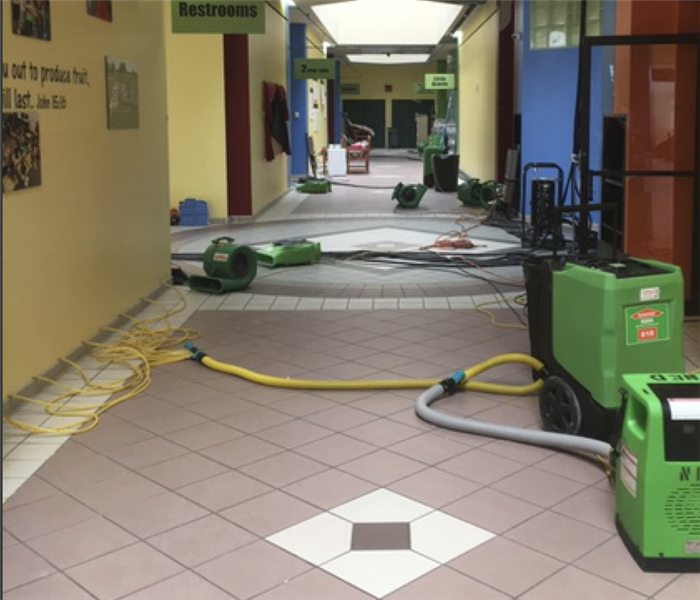 The expert team with SERVPRO of Lake Highlands is tackling the large job of containment for this Lake Highlands commercial customer. 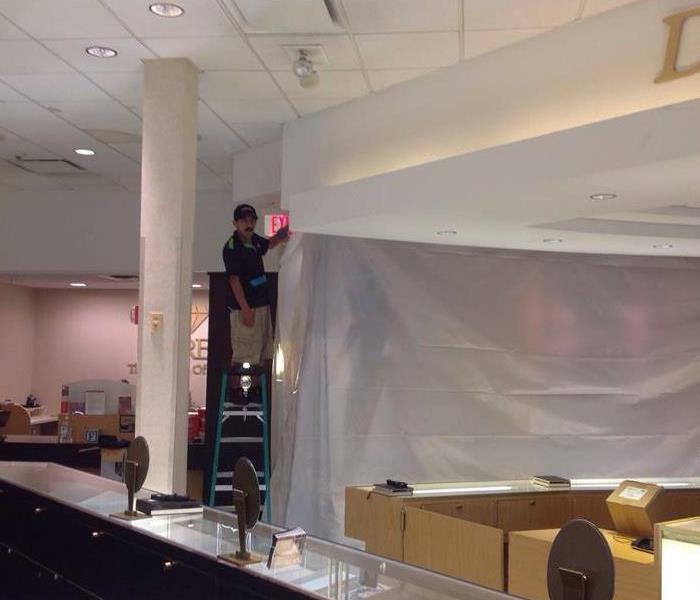 We are always up for the job, of doing whatever it takes to get our commercial customers back up and running asap! This image shows some of the drying equipment we used in this commercial building during mitigation after damage from a water loss. Using equipment like this helps to expedite the drying process so further damage can be prevented. 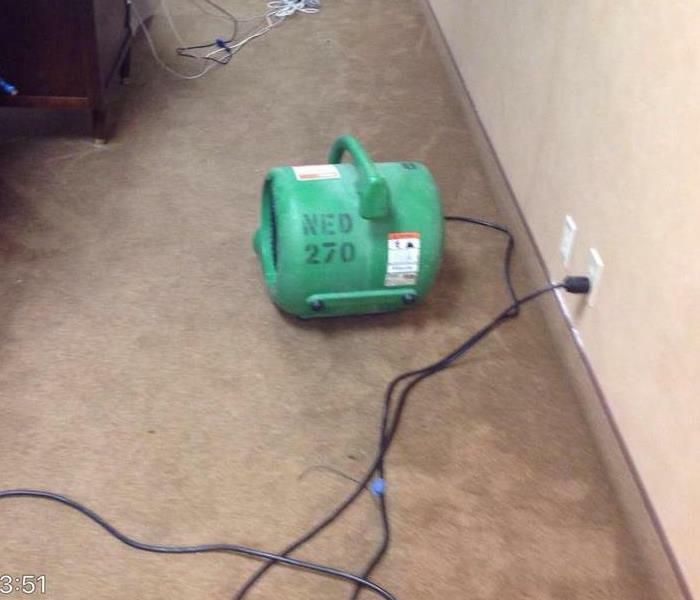 This image was taken during the mitigation of water damage to a commercial facility in Lake Highlands of Dallas, TX. After a water loss from a broken pipe, our team was called in to repair the damage. We had them back up and running quickly. 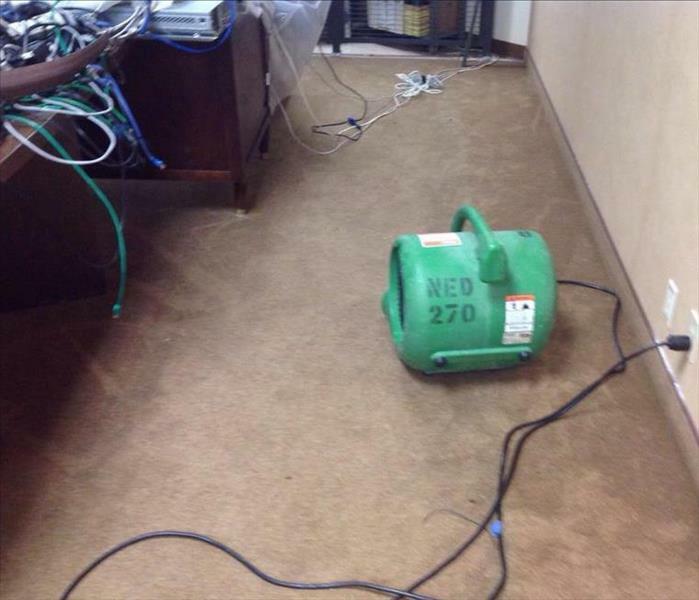 This computer room was left wet and damaged after a water loss and our team was brought in to repair the damage. We used air movers like the one pictured here along with other drying equipment to help speed up the drying process. 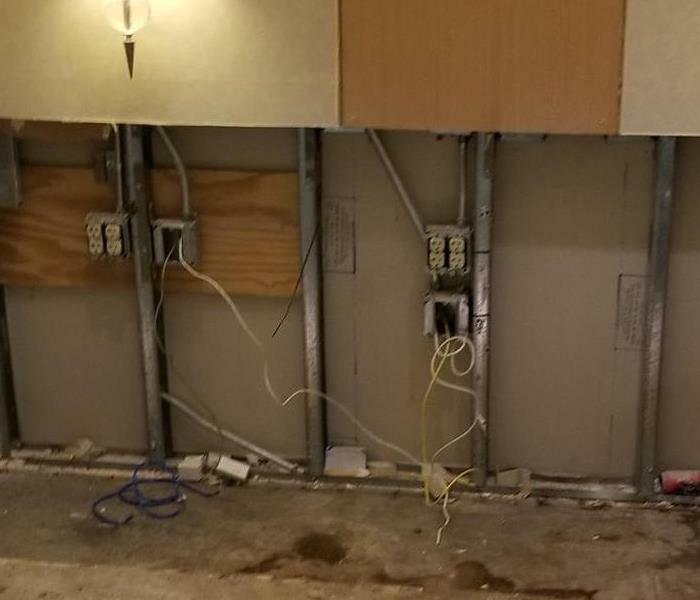 When this home experienced damage due to a water loss from a broken pipe, we had to perform flood cuts to remove damaged material and dry the wall, as you can see from this image. 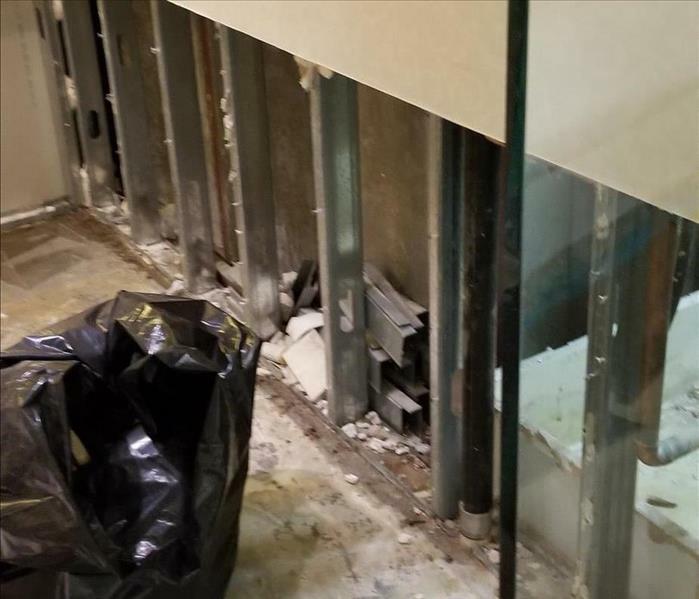 This bathroom was damaged by water when a pipe broke. Our team was called to repair the damage to the home. We were able to get the home dried and repaired quickly. If you have a water loss, call SERVPRO! After significant storm damage, this Pre K room suffered from multiple damages. There was ceiling damage along with flooring and drywall. 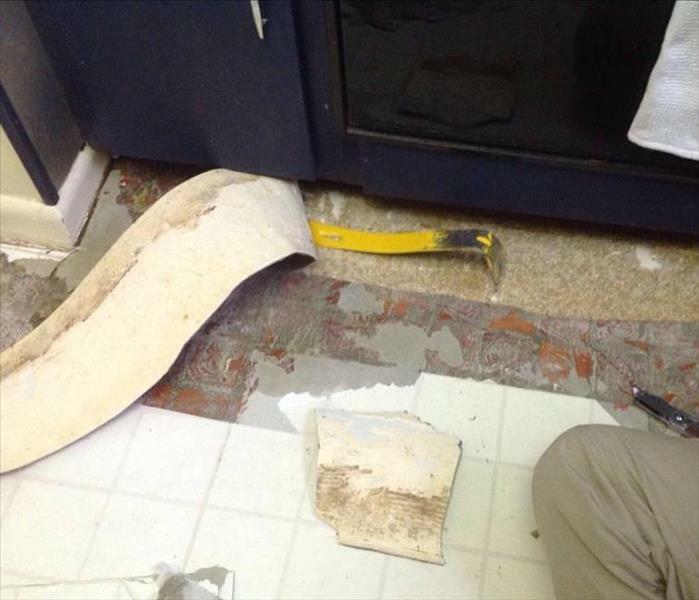 SERVPRO was able to tear out all the old and restore back to normal conditions. Mold was found on the walls after a water loss. The team at SERVPRO responded quickly and begin mold remediation. The team has special cleaning techniques to remove the mold properly. 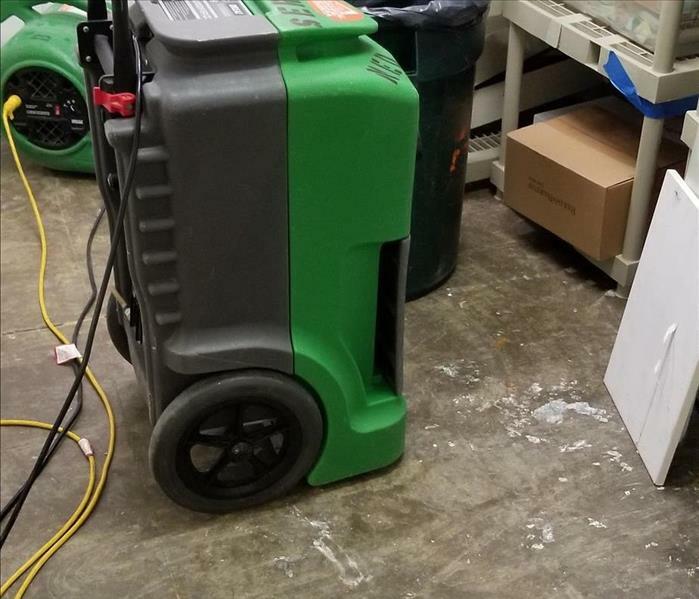 After a severe storm hit the Texas area, SERVPRO responded to find water damage in the halls and offices of this property. They put down air movers to dry the area properly. 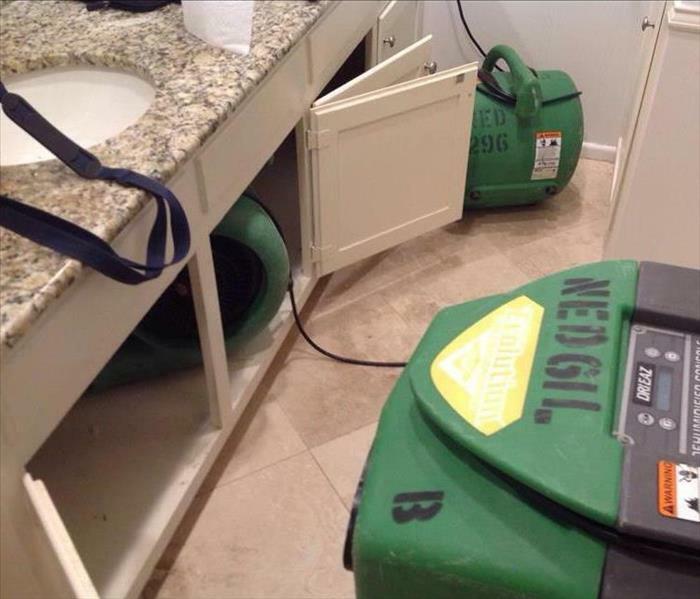 SERVPRO has professional drying equipment for your water or storm restoration emergency. The team is ready to respond 24/7. The air movers were used in this hall to dry the water and ensure proper drying. Flood cuts were performed after a flood in this home. The flood cuts were done to dry behind the walls and baseboards. The flooring was also removed to dry properly. Contact us for your water restoration emergency. 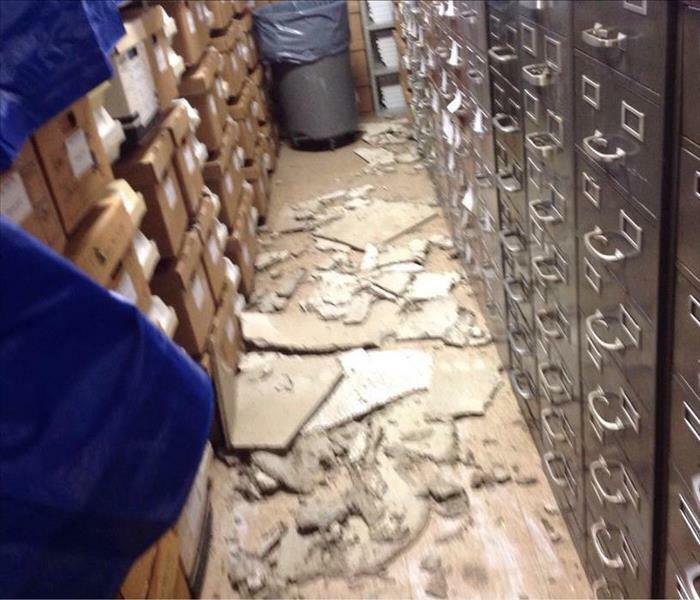 A water loss caused the ceiling in this facility to collapse and left the mess you see pictured here. We were able to get the building cleaned, dried, and repaired and had them back up and running quickly. SERVPRO responded to this office to find a water loss. There was significant amount of water in the floor. 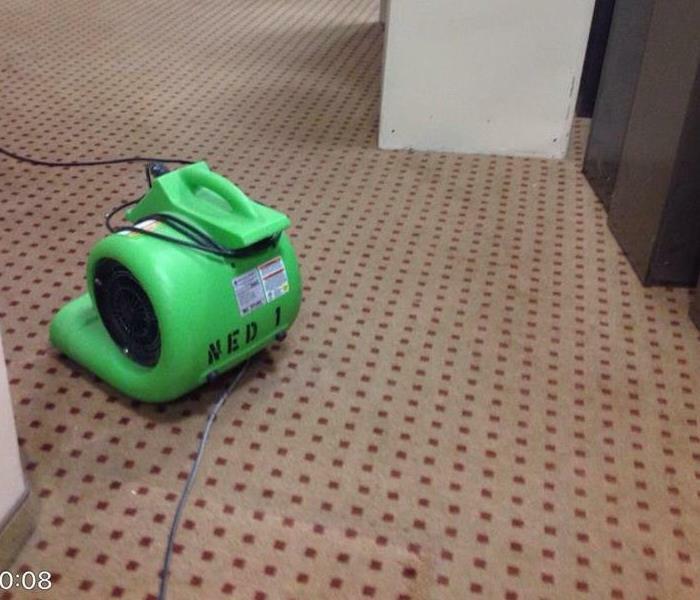 They used air movers to dry the flooring quickly to prevent future damages. A water loss in this home left moisture trapped behind these baseboards. As you can see, mold began to grow. We removed the baseboards, dried the moisture and removed the mold. If you have mold, give us a call! Containment like this is used on jobs where we are cleaning up mold and/or water because we want to make sure the uncontaminated parts of your home stay that way. If you have a mold or water loss call us! When you have a water loss, you may see us using equipment like what you see pictured here. We do this to help speed up the drying process in order to prevent further damage to your home. Our team responded quickly to this commercial water loss and immediately began working to remove the moisture and damaged material. In this image, you can see some of the drying equipment we used in the process. 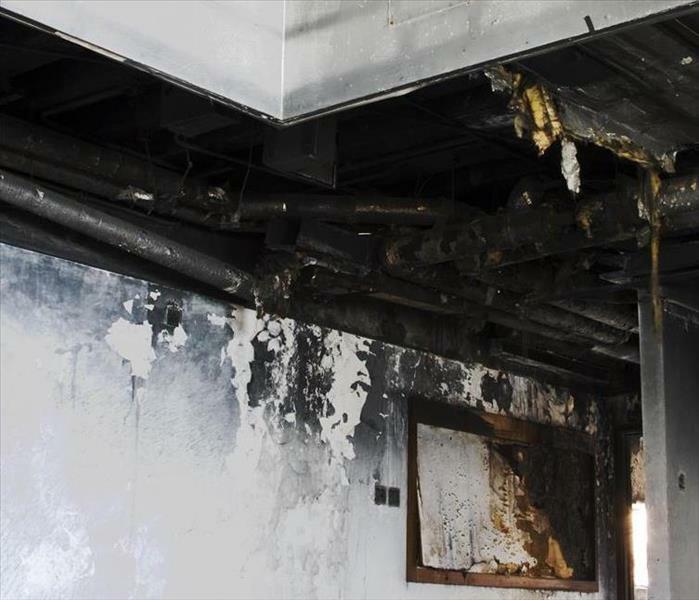 Our team was brought in to handle the cleanup and repair of this hospital when it suffered a water loss. Our team was able to get them back up and running quickly. 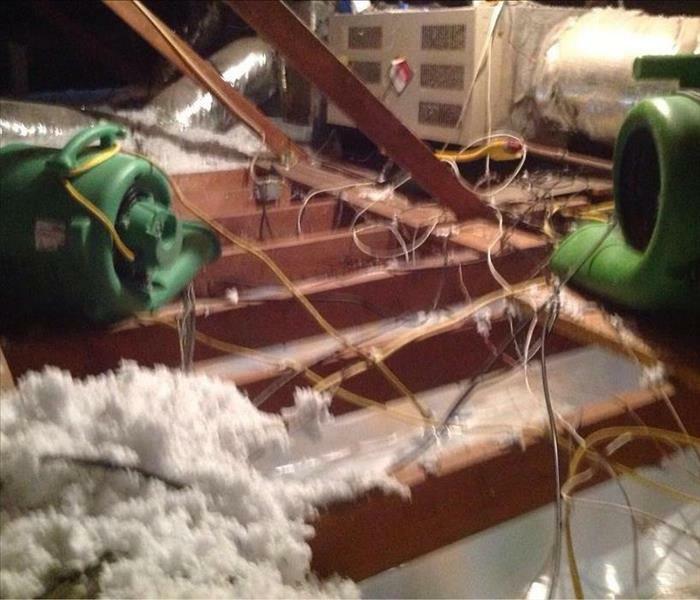 If you have a loss like this, call SERVPRO! 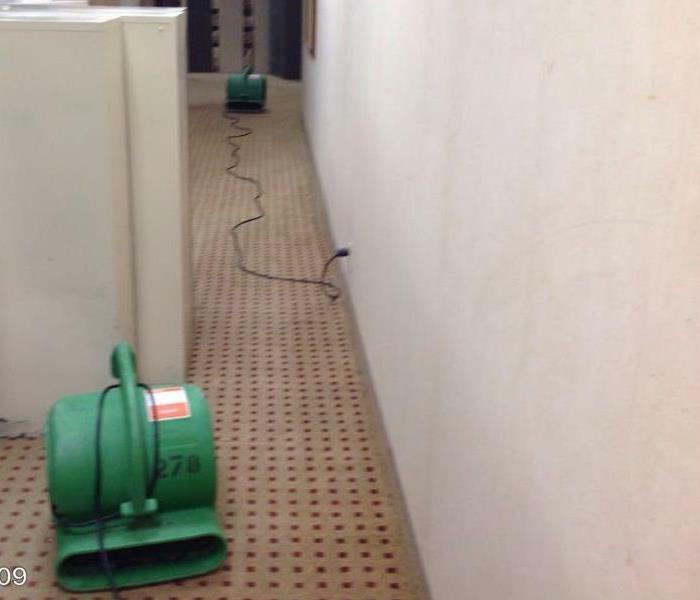 This facility in Addison had a water loss that impacted the locker room pictured here. As you can see, we brought in drying equipment to help speed up the drying process. If you have a loss like this, call us!